You'll see a list available to you to manage VPS (picture 1). 1. VNC client - Virtual Network Computing (VNC) remote access system to the desktop computer using the protocol RFB. in case of non VPS via the Internet or the need to monitor VPS, you can connect to it with a VNC client. In SolusVM panel you can run JAVA applet VNC. To do this, go to VPS management and click "VNC" (picture 2). While working on your computer must be installed JAVA machine and JAVA security must be set to a minimum. 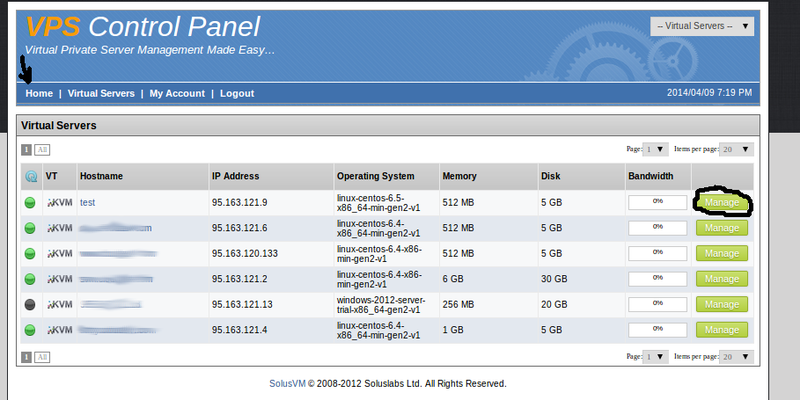 In SolusVM panel you can reinstall OS in VPS. 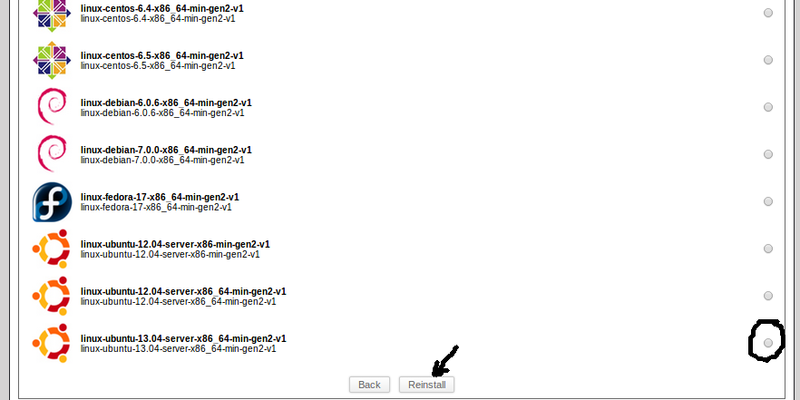 To do this, click "Reinstall" VPS management page in the section "Controls" (picture). In this case you will be redirected to the page selection possible to reinstall OS on VPS (picture 3). Select the OS need to install on a VPS, click "Reinstall", confirm reinstalling OS, then you will give a new password for the user "root" and asked him to wait 10 minutes for the full implementation of reinstalling OS. 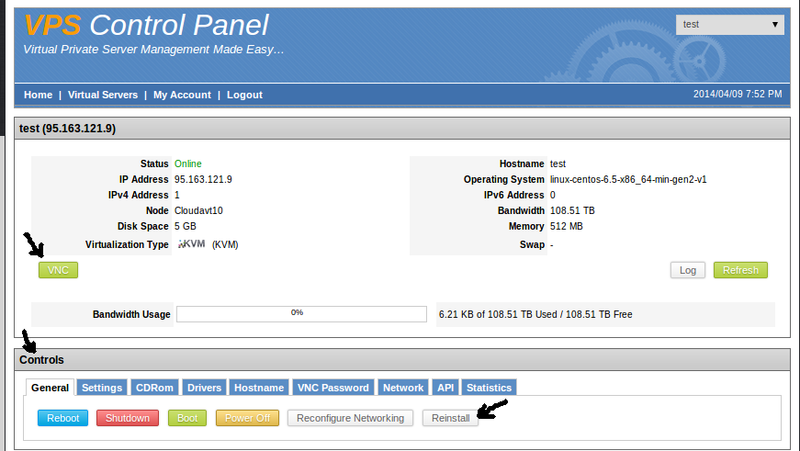 On the Manage VPS (picture 2) , in the section "Controls", section "Settings" (picture 4 ), you can adjust the equipment provided by VPS. In particular, you can change the NIC (Network Card) and hard disk (Disk Driver). By default, the "Network Card" and "Disk Driver" available "virtio", but some OS ( such as OS Windows) do not support these devices , so the network card or the hard drive may not work on your VPS. In order to make it work , just select a supported device from the available list , click "Set" VPS and reboot for the changes to take effect.